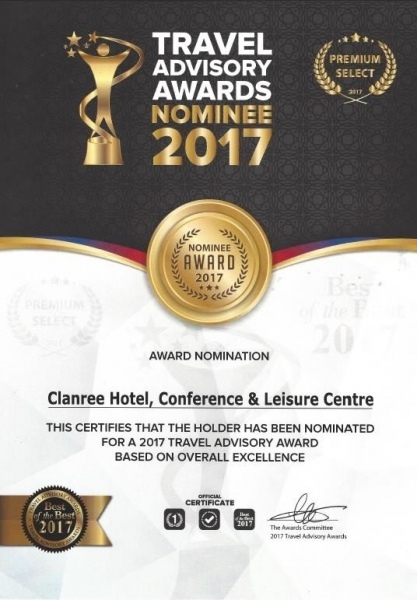 The 4 Star Clanree Hotel, Conference & Leisure Centre is delighted to announce that they have won the Luxury Travel Guide award for Service Excellence 2017. The Luxury Travel Guide awards recognise and celebrate excellence across all sectors of the affluent travel and tourism industry around the globe. The awards program pay tribute to and commend all those who have excelled in the industry, they select winners based on their achievements and strengths in the travel industry. They received an overwhelming number of superb nominations this year and the judging panel had the unenviable task of selecting those firms, teams and individuals within each category most worthy of an award. Vinny Bindra from The Luxury Travel Guide Awards said “All winners of the Luxury Travel Guide Awards are subject to the same rigorous assessment criteria, carried out by our in-house professionals. This ensures only the most deserving firms and individuals walk away with one of these prestigious accolades and gain a place in our awards winners’ guide, which will be distributed to over half a million professional & affluent people around the world. 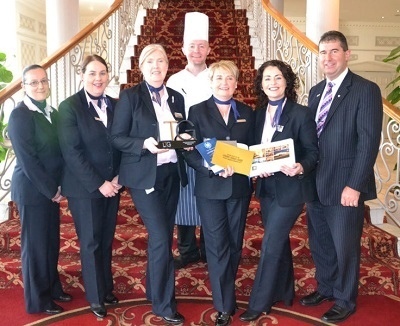 General Manager of the Clanree Hotel, Michael Naughton said, “The Luxury Travel Guide Awards represent the pinnacle of travel and tourism achievement, championing the best in their respective fields; therefore to come out on top is truly an achievement that we’re extremely proud of. “To win an International Luxury Travel award is just fantastic, and it’s testament to all the hard work of all the staff and everybody associated with the Hotel. 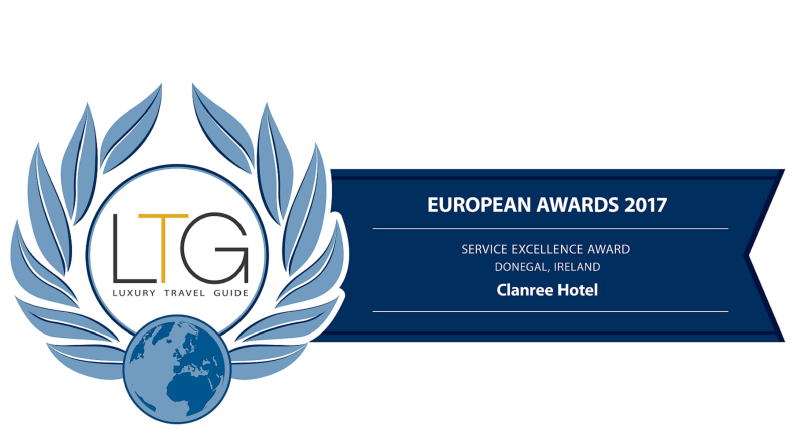 It’s also great exposure for Donegal Tourism, and the Wild Atlantic Way as award winners will gain a place in the Luxury Travel Guide, which will be distributed to over half a million subscribers alongside printed distribution which will see over 250,000 hard copies sent to luxury hotels, cruise ships and airport lounges across the world. Their readership consists of high net worth individuals members of the business community comprising of CEO’s, CFO’s, MD’s and Directors of national and multi-national firms as well as professional individuals”. The 4 Star Clanree Hotel, Letterkenny, the ideal place to relax and revive. The Clanree Hotel provides a comfortable base for exploring Donegal and is conveniently located only a few minutes’ drive from the bustling town centre of Letterkenny. The Clanree Hotel is ideally located for exploring beautiful Donegal and the Northwest of Ireland. The hotels accommodation boasts 120 en-suite rooms furnished with all the modern comforts, The Aileach restaurant offers Award Winning food and is popular with locals and guest’s alike serving both an A La Carte menu of international favourites and a traditional Irish Carvery daily. McGettigan's bar offers an extensive Bar Food Menu and Beverages, coupled with excellent service and entertainment each weekend and live sport on our big screens. Visitors can’t fail to be impressed by its grand interior and wide range of facilities. The hotel boasts a fully equipped health and fitness club with a heated indoor 20m pool and children’s pool, Jacuzzi, sauna, steamroom, solarium and fully-equipped gym. The Clanree Hotel is one of Donegal’s leading wedding venues, for assistance in arranging your special day or to arrange a show around of our fantastic facilities please contact the hotels wedding co-ordinator Annette on +353 74 912 4369, who is on hand to offer help and advice with wedding packages to suit you. 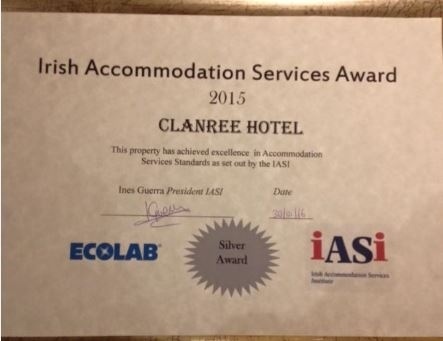 The Clanree Hotel is delighted to have been awarded the silver award, as awarded by the national body representing the professional interests of the accommodation industry throughout Ireland, the Irish Accommodation Services Institute. The IASI was founded in 1985 and its remit is to promote best practice standards across the accommodation field. Under the watchful eye of Bernie McBrearty, the accommodation manager who is known for her exacting standards and her exceptional attention to detail, Bernie has worked at the Clanree Hotel since 2000. Bernie manages a team of 3 supervisors, 15 room attendants, plus the hotel’s maintenance staff. With this team, she controls every aspect of the hotel’s physical appearance, maintaining bedrooms and public spaces alike to scrupulously high standards. 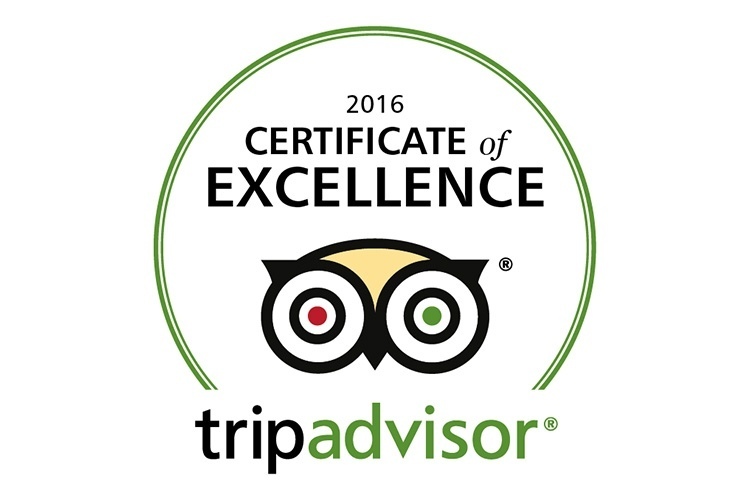 Each year, the IASI sends accommodation providers a list of standards which should be met in order to be eligible for an award. Every property is required to get 80% in their inspection to pass. After that, 80% to 87% is a Merit Award, 87% to 93% is a Silver Award and 93% to 100% is a Gold Award.